The essayist, Jonathan Franzen writes, is like “a fire-fighter, whose job, while everyone else is fleeing the flames of shame, is to run straight into them.” For the past twenty-five years, even as his novels have earned him worldwide acclaim, Franzen has led a second life as a risk-taking essayist. Now, at a moment when technology has inflamed tribal hatreds and the planet is beset by unnatural calami- ties, he is back with a new collection of essays that recall us to more humane ways of being in the world. 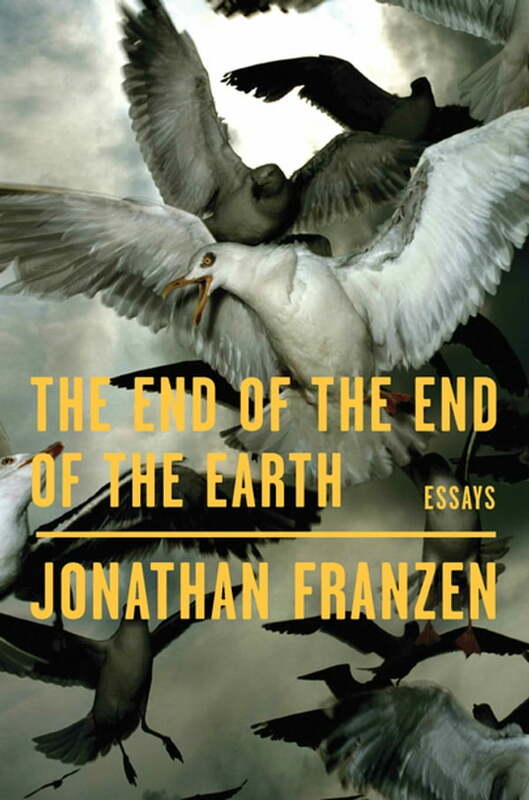 Franzen’s great loves are literature and birds, and The End of the End of the Earth is a passionate argument for both. Where the new media tend to confirm one’s prejudices, he writes, literature “invites you to ask whether you might be somewhat wrong, maybe even entirely wrong, and to imagine why someone else might hate you.” Whatever his subject, Franzen’s essays are always skeptical of received opinion, steeped in irony, and frank about his own failings. He’s frank about birds, too (they kill “everything imaginable”), but his reporting and reflections on them—on seabirds in New Zealand, warblers in East Africa, penguins in Antarctica—are both a moving celebration of their beauty and resilience and a call to action to save what we love. breath of hope and reason.